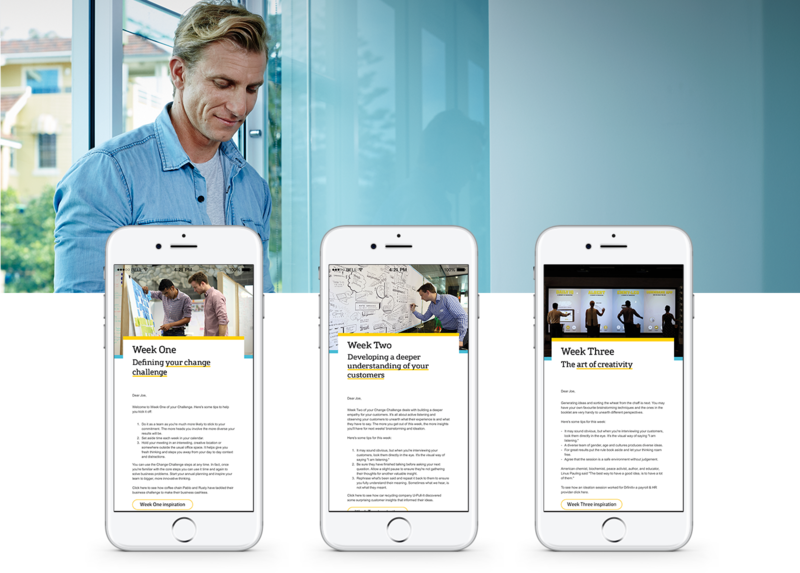 Drive consideration for CommBank as a brand that can help give businesses the confidence to forge new paths in the current uncertain economic climate. 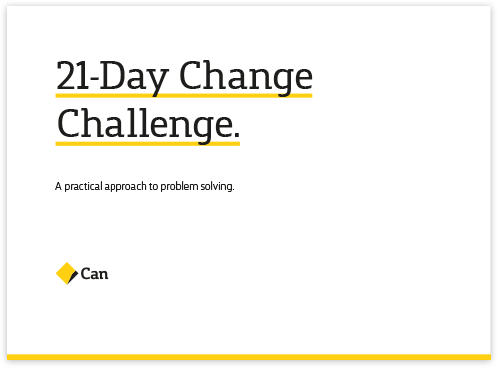 To help businesses activate change within their organisation, we created the CommBank 21-Day Change Challenge. 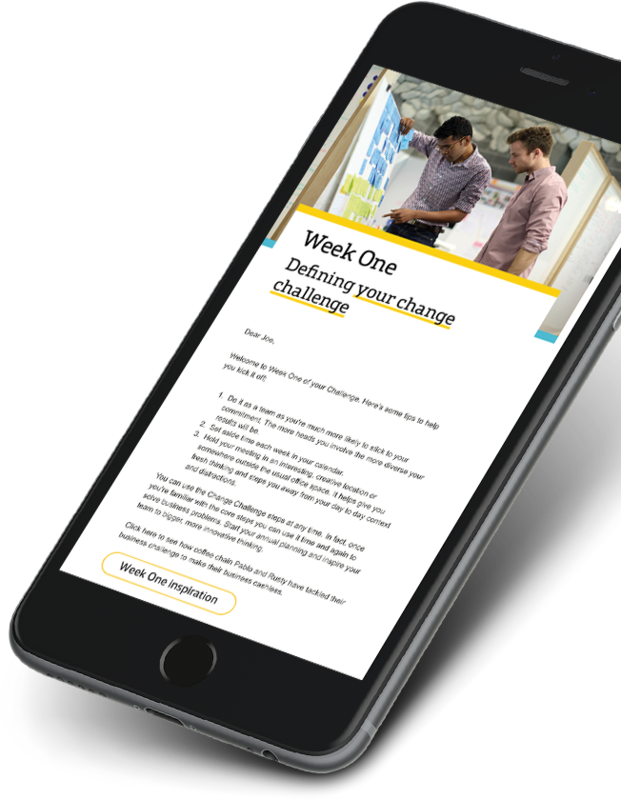 The three-week program helps business leaders to define a change objective, unlock insights into their customers and operations, and plan and prioritise opportunities. 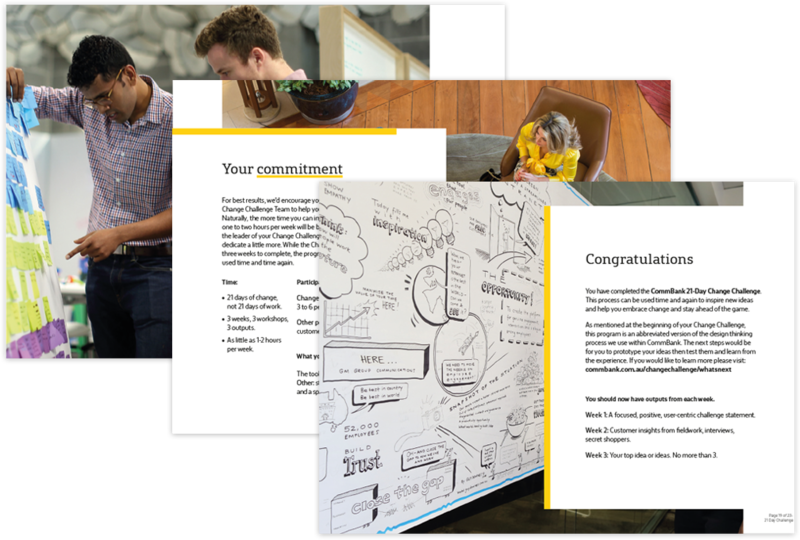 The challenge pack was presented as a downloadable PDF, with supporting website content and communications. 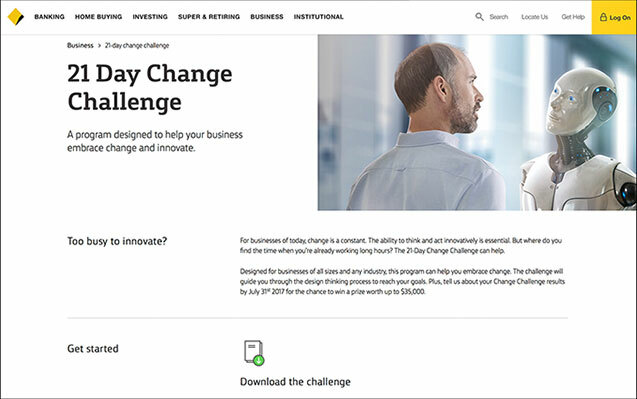 And several entries into the competition to win one of two Change Workshops,  valued at up to $35,000.